Pirelli: One of the greatest tire brands! Pirelli is the fifth largest world manufacturer on the tire market. The profitability levels are among the highest in the industry. In 2008, Pirelli Tyre generated revenues of approximately EUR 4.1 billion. Pirelli Tyre is today the operational holding company for a group involved in the design, development, production and marketing of tire intended for different types of vehicles. Cars, light vehicles and motorcycles account for 70% of revenues (Consumer Sector). Buses, trucks, agricultural vehicles and civil engineering vehicles represent 30% of income (Industrial). In this market, Pirelli Tyre focuses in particular on the high-end segments characterized by high technological content and performance. These are segments in which Pirelli has established itself in a position of leadership with regard to his car tires. Pirelli tires are today synonymous with quality, emotion and ultimate performance. Based on its technological expertise, the group has consolidated working relationships with the major automobile manufacturers in the world. A Group committed to sustainable development: Pirelli Tyres is a group of its time and today seeks to implement his talent to help build a sustainable world. Pirelli has been improving its environmental performance through the development of new entities of the group, high-technology, innovative products and tools for environmental management. In addition, the Group strives to continuously analyze the environmental impact generated by its activities and products, from design to end of life. Manufacturing processes and distribution are redesigned, and environmental problems are studied carefully. The mastery of high-technology allows the group to be at the origin of relevant innovations allowing the group to respect the environment. Research programs focus on tire recycling and innovative systems of clean energy such as fuel cells and photovoltaics components. In 1872, Giovanni Battista Pirelli, a young 24 year old engineer, founded Pirelli & C. in Milan, Italy. One year later, he began producing rubber products. In 1901, the first Pirelli automobile tire was made. In the early 1950’s, the invention of the Pirelli Cinturato was a real turning point in the history of tires. In the 1970’s, Pirelli invented the low profile tire, the P7. It was the most important invention in the industry following the Cinturato radial tire. Pirelli has been providing tires for car races since 1913, the pre-Formula 1 era. Pirelli tires are, without a doubt, performance-driven tires and have been since the beginning of automobile history. Pirelli tires are original equipment on vehicles such as the BMW Serie 3, BMW X1, BMW X3 and BMW X5, as well as on the following makes of cars: Aston Martin, Audi, Daimler, Jaguar, Lamborghini, Land Rover, Ferrari, Maserati, Porsche, Volvo and Volkswagen. Pirelli Tire offers a wide range of high-performance summer and all season tires designed for all vehicle types: sedans, station wagons, sport coupes and SUVs. Pirelli has different models of summer and all season tires that are known for their traction in wet and dry conditions. 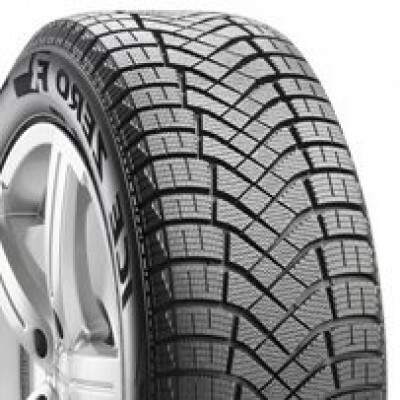 Pirelli makes good quality all season car tires, like the P4 Four Seasons and the P6 Four Seasons. They also have the high-performance series, which includes the Pirelli PZero All Season, and models for SUVs, like the Pirelli Scorpion ATR.